Clarity, color and carat are inherent characteristics of a piece of diamond. These are the 4 most important criteria for grading a diamond and what you should use when selecting your diamond engagement ring. Nearly flawless diamonds (those that have almost no inclusions or impurities) are very rare in nature. These types of diamonds are generally more valuable. And when it comes to color, the more colorless the diamond, the more valuable it is. The carat is the standard weight measurement of diamonds. A two-carat diamond will be more valuable than 2 one-carat diamonds of the same quality because bigger diamonds are rarer finds than smaller ones. The most important thing that you have to consider in choosing your diamond is the cut quality. The diamond’s depth, height, symmetry will combine to determine how brilliant the finished gem will be. To avoid making a mistake in choosing your diamond engagement ring, make sure you consult a trusty gemologist about your shortlisted stone. 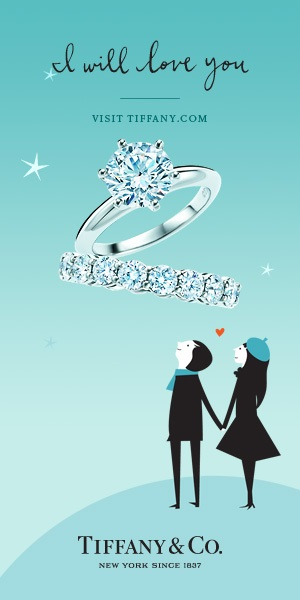 Choosing your diamond is not the end of your task. You will have to consider the design setting of the stone as well. Usually, diamonds go well with gold and platinum bands. Personally, I recommend platinum even though it is more expensive because it’s more enduring and durable. For people who want a safe choice in a ring design, you can choose a solitaire setting with a single diamond for adornment. If you are buying the ring for a person with a flashy type of personality, you can also opt for a setting with two smaller diamonds flanking your main diamond or a main diamond with tiny diamond studs all throughout the band. Of course, after all the trouble you went through to purchasing your diamond ring, you need to make sure it fits. One good way to do this is to ask her mother or filch a ring she wears on her left ring finger to find out her ring size. We are a website specializing in diamond education and we strive to provide value to Indian consumers who are buying diamonds locally. Diamond Jewellery India - The Ultimate Guide to Buying Diamonds!